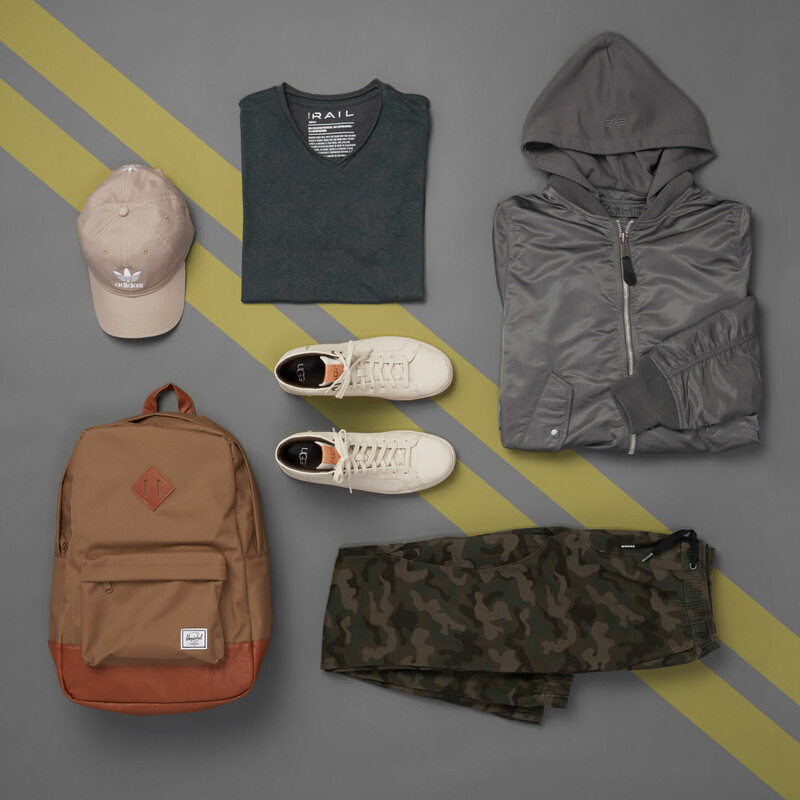 Inspired by the muted neutral tones of the city, this season’s take on athleisure is understated, but far from forgettable. It’s where gritty meets polished, and comfort meets style, all while maintaining the ultimate cool-guy look. 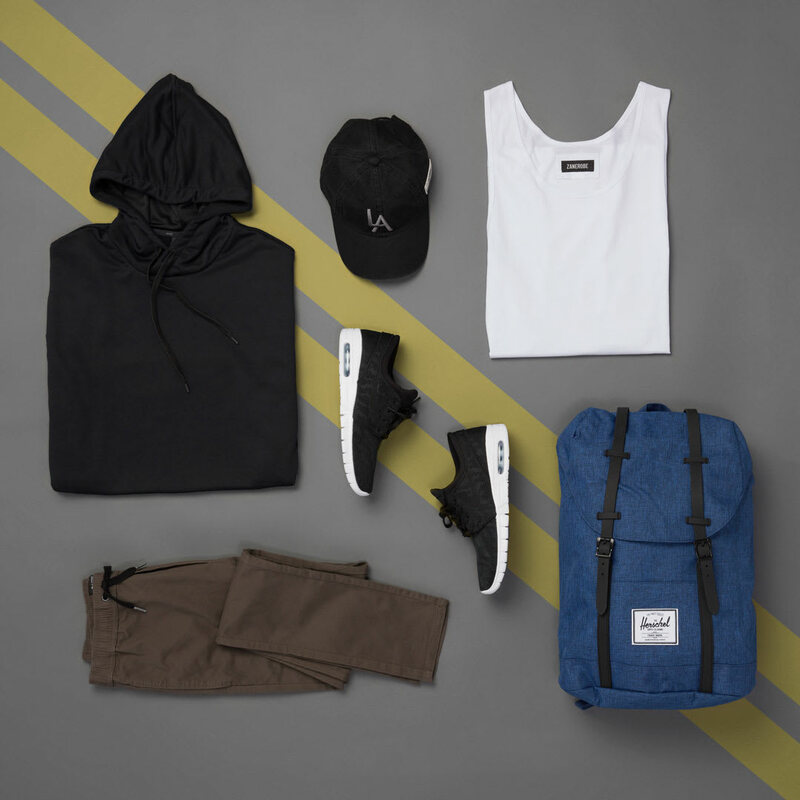 To pull this outfit together, start with a few simple pieces: a basic tee, joggers, and a branded baseball cap. Everything else is embellishment. 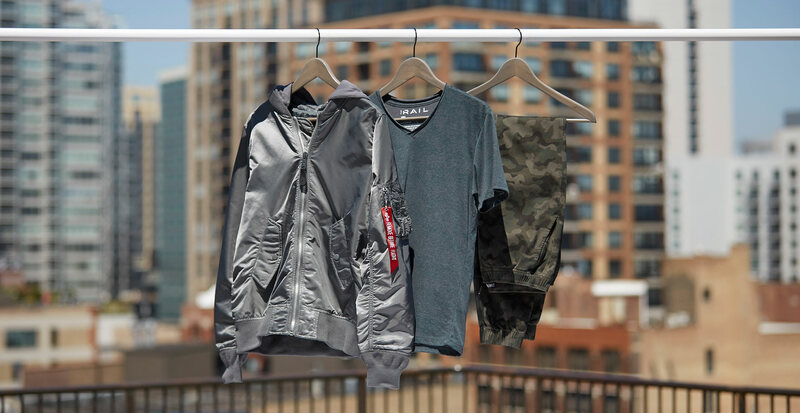 A pair of joggers with an interesting print is a cool way to stay on-trend, and layering on a sporty bomber incorporates some texture. The easiest way to take an outfit from the couch to the bar is the accessories. A backpack in a standout color draws the eye to an unexpected place. And we cannot emphasize enough how much a cool sneaker does—always have a pair in a neutral tone, but feel free to collect ‘em in as many colors as you want.